Celebrating the life of AUSTIN BLACKWOOD TAYLOR JR.
Be the first to share your favorite memory, photo or story of AUSTIN . This memorial page is dedicated for family, friends and future generations to celebrate the life of their loved one. Obituary for AUSTIN BLACKWOOD TAYLOR JR.
Austin Blackwood Taylor, Jr was born on November 11, 1924 to Polly Ida Davis and Austin Blackwood Taylor, Sr. in Little Rock, Arkansas. He was the grandson of Charles Taylor, Mayor of Little Rock and the grandson of Jefferson Davis, Governor and later, Senator of the state of Arkansas. Mr. Taylor served in the Air Force as a navigator during WW II and the Korean War. 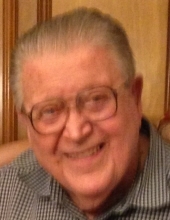 He was in the Texas A & M Class of 1944 and graduated with a BS in Petroleum Engineering. He worked in the oil and gas business until age 85, as a registered professional engineer in Texas. He served a life-long mentor in the oil and gas industry to his son, Austin B Taylor, III. On June 10, 1950 he married Christie Crews Walne at St. John the Divine Episcopal Church in Houston, TX. They had 3 children: Christie Crews Taylor, Karen Taylor Jasper, and Austin Blackwood Taylor, III. He was a founding member of the Church of the Holy Spirit in Houston, TX. He was a Master scuba diver and a passionate hunter and fisherman. In 1974 he began his avocation as a Licensed Chemical Dependency Counselor and was awarded TAADAC Hall of Fame Award in 1994 by the Texas Association of Chemical Dependency Counselors for developing legislation to allow substance abuse counselors to be licensed in Texas. He is survived by his children and their families: Christie Crews Taylor and her husband, Roy F Morgan and their son, son, Roy Franklin Morgan IV; Karen Taylor Jasper and her husband Steve; and Austin Blackwood Taylor, III and his wife, Dara and their daughter, Kailey Anne Taylor, and Kailey’s son, Ivan Austin Mceachern. He is also survived by his three step-sons and their families: John Sullivan, Brent Sullivan and Neil Sullivan. His memorial service will be officiated by the Rev. Josh Condon, Rector, at the Holy Spirit Episcopal Church located at 12535 Perthshire Rd., Houston, TX 77024 on Saturday, November 17,2018 at 10:00am. The Taylor family would like to thank Kristen Kim, and all the angels at Apex Oaks Assisted Living & Memory Care, where Austin has resided for the last several years. In lieu of flowers, please consider a donation to the Holy Spirit Episcopal Church foundation. To plant a tree in memory of AUSTIN BLACKWOOD TAYLOR JR., please visit our Tribute Store. "Email Address" would like to share the life celebration of AUSTIN BLACKWOOD TAYLOR JR.. Click on the "link" to go to share a favorite memory or leave a condolence message for the family.